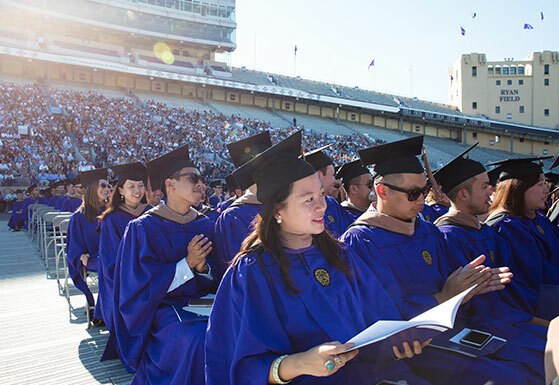 The Kellogg School of Management Convocation ceremony took place on Friday, June 16, 2017 on the Northwestern University Evanston Campus. During Convocation 2017, 1002 graduates across degree programs received their diplomas. 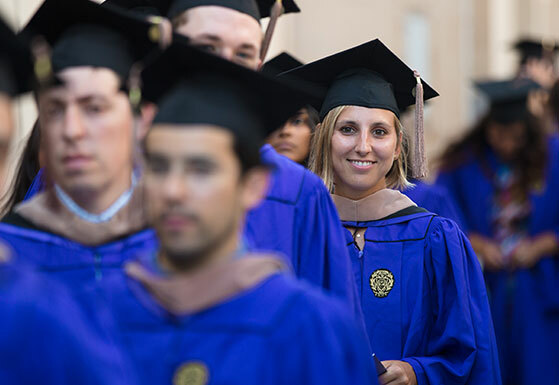 The Kellogg School Convocation 2017 ceremony included 1,002 graduates across degree programs. "Creating meaningful work around a bold vision matters," said Kellogg School Dean Sally Blount, to an audience of roughly 6,000 attendees. On June 16, graduates those from the Full-Time MBA, Part-Time MBA, MMM, PhD, JD-MBA, MD-MBA programs received their diplomas. Kellogg School Convocation 2017 speaker Edith Cooper ’86, Global Head of Human Capital at Goldman Sachs, addresses graduates. 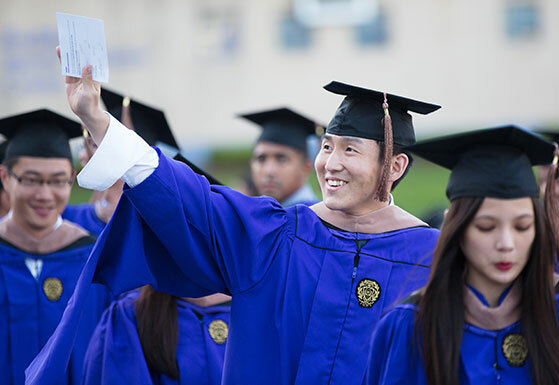 Kellogg graduates posed for photos outside of the Global Hub on the Northwestern University Evanston campus. 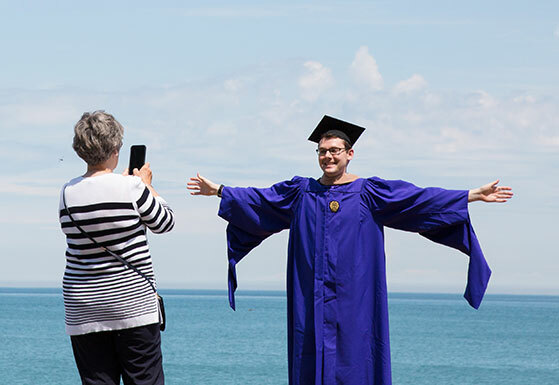 A Kellogg graduate poses for a photo on the shoreline of Lake Michigan on the Northwestern University Evanston campus. 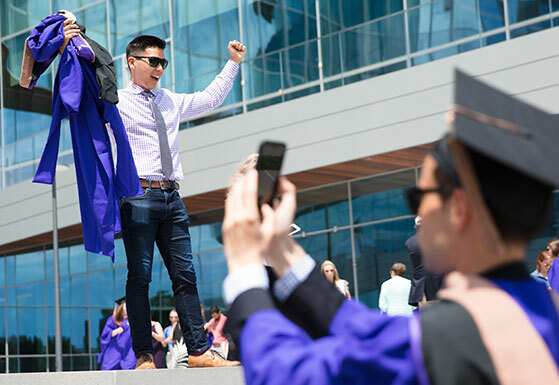 On Friday, June 16, a new class of Kellogg School of Management graduates received diplomas, marking the culmination of their academic journey during Kellogg Convocation 2017. 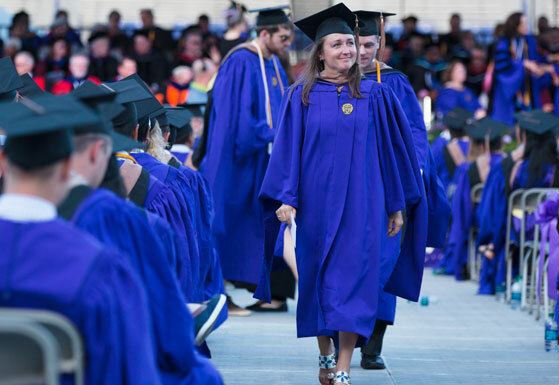 The ceremony, which celebrated graduates across degree programs, including Full-Time, Part-Time, MMM, PhD, JD-MBA and MD-MBA, included a total of 1,002 students, also marked their entrance into the Kellogg Alumni community. Kellogg School Dean Sally Blount ’92 addressed the audience of roughly 6,000, sharing insight into what makes for great leadership. The Kellogg Convocation ceremony also included remarks from University Chaplain Timothy Stevens, Associate Dean of MBA Operations Matt Merrick and Clinical Professor of Marketing Julie Hennessy. Representatives of the class of 2017, Dean Nordhielm, president of the Full-Time Student Association and Ashley Sommerfield, president of the Evening & Weekend Student association also spoke. 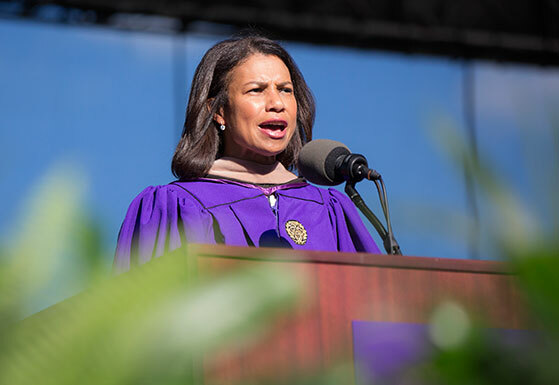 The convocation address was given by Edith Cooper ’86, the Global Head of Human Capital at Goldman Sachs, who shared that her Kellogg School of Management education had been integral in her career development. “I knew that if I was to become a better version of myself, I needed to expand my vision of the world. Kellogg helped me do that,” said Cooper. Relationships matter. No matter how hard you work or how smart you are, you can’t do it alone and you will not make it far if you cannot build real relationships. Caring is important. When you make people the priority, business results will follow. Listening and learning is crucial. Communicating is deceptively simple, people have become accustomed to speaking without thinking and forgetting to listen. By listening you gain greater empathy and develop a better understanding of others that can lead to profound and positive change. Be you and let everyone else be themselves. The best relationships are built on mutual trust and that comes from honesty and authenticity. Your ambitions and interests will evolve, but even as they do, hold to your higher purpose and goals, because they will keep you grounded. Let life get in the way. Life is unpredictable, don’t be so programmatic, so dedicated to a concrete plan that you fail to receive the many beautiful and unexpected things that life will throw your way. Learning to juggle and prioritize can help provide better focus, teach you how to be more present. There’s an important conversation about having it all, but rather than reading about it, I encourage you to live it. Some days you’ll be the hero at home, some days you’ll be the hero at work, in the end, those days will not always be the same and that is okay. Cooper closed her address by sharing that in the end, our lives will be measured by the impact we’ve had on others. She encouraged graduates to invest in others, to give them time, help them grow, make them better, both at work, and within their communities. 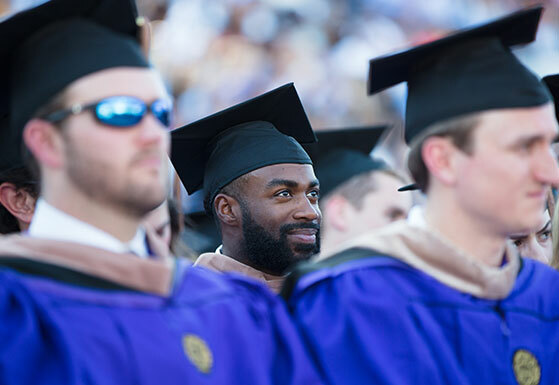 We invite you to join us in celebrating the Kellogg School of Management class of 2017 and view more images, visit the Kellogg School of Management Facebook and Instagram accounts.